In the fall of 2018, Middletown City School District applied for and received the Ohio Department of Education and Ohio Department of Higher Education Strengthening Ohio’s Teacher Pipeline Through Partnership (SOTP) Grant for Fiscal Year 2019. 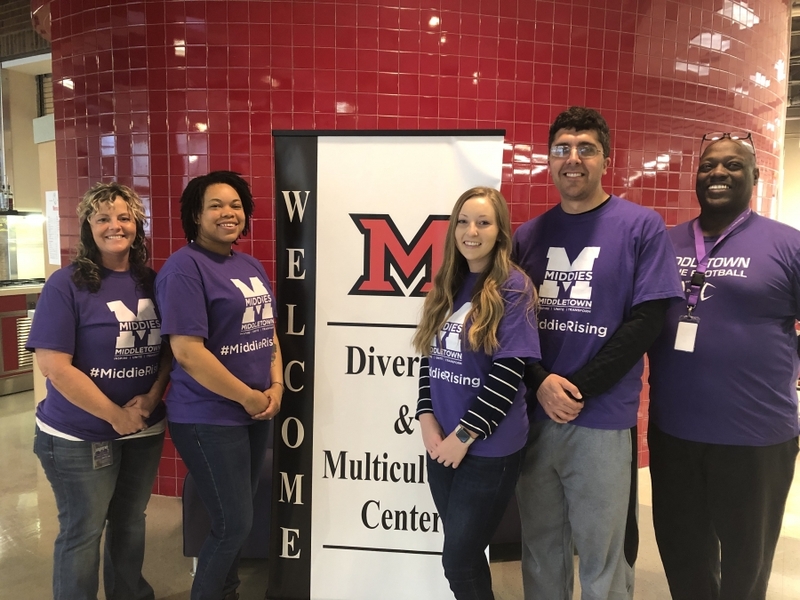 This means MCSD, along with its partner school Miami University, will provide a pathway for paraprofessionals (special education teacher classroom assistants) working in the district to gain their Intervention Specialist teaching license. “Middletown Schools believes in providing an exceptional learning experience for all students, including our own staff. We’re so excited to be able to provide our paraprofessionals a pathway to a graduate program that results in an intervention specialist teaching license,” said Deborah Houser, MCSD Sr. Director of Human Resources. As part of the partnership, Miami offers reduced tuition, Middletown Schools provides student teaching placements and tuition reimbursement, and the SOTP grant provides chromebooks and textbooks. Upon completion of the program, MCSD will employ these graduates as interventional specialists in the district. The MCSD HR Department knew the reason many paraprofessionals did not pursue their teaching license was due to the student-teaching portion of the licensure. Traditionally, student teachers do not receive a stipend or income to student teach. In the SOTP program, MCSD ensures its employees will student teach in their current position, complete with their income and benefits. Taylor Parsons, paraprofessional at Miller Ridge Elementary, echoed the same sentiments as Arrowood. “I was going to have to take off work for a whole semester to student teach...I'm grateful for this opportunity so I can keep my job, still get paid and complete student teaching all at the same time. I hope to gain a lot of knowledge about special education, what the job entails, more about students with special needs/ disabilities and to just gain experience [teaching in Miller Ridge Elementary] while I'm taking classes,” said Parsons.